Now is the time to be thinking about snow and all the difficulties it produces for even the simple tasks like walking to your front gate. 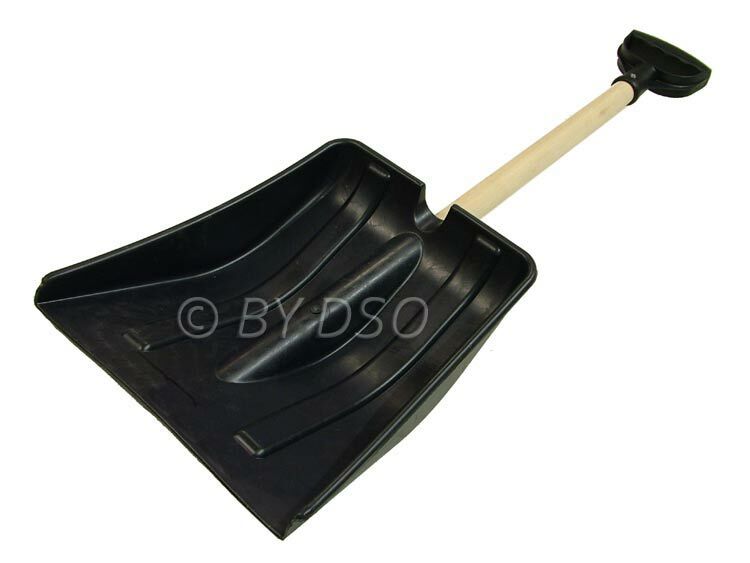 Be prepared this winter with this great rust free, lightweight snow shovel. There is an old saying that states''its better to have one and not need it,than to need one and not have it''. Be prepared. This durable large head plastic snow shovel is the ideal tool to clear driveways, paths and around the wheels of your vehicle etc. Also great to take out with the kids when making snow caves, snowmen and fortresses. The head on this shovel is made from durable plastic for two reasons, a rust-free shovel that you can use year after year and to make it lightweight. Snow is already heavy enough without having to use a chunky heavy metal shovel to clear the ground. This shovel is not just for use with snow but also for clearing, mud and sand. Great for use around the home or at the workplace.